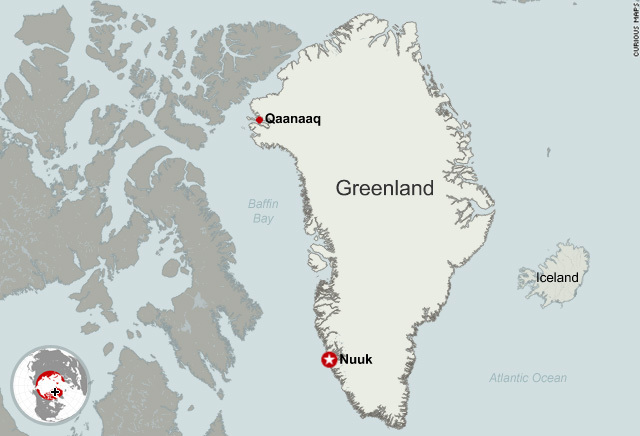 London, England (CNN) -- A British anthropologist is setting out on a year-long stay with a small community in Greenland in an ambitious attempt to document its dying language and traditions. Leonard, who flies out to Copenhagen on Sunday before heading to Greenland, says there are about 1,000 speakers of Inuktun, an undocumented language. Although most Inughuit are trilingual, also speaking Danish and Greenlandic, their primary language is still Inuktun. "There is no doubt that this is a major linguistic challenge. ... They speak a very pure form of Inuit, partly because of their geographic isolation. Their entire culture is based on a storytelling culture." Leonard, an anthropological linguist at Cambridge University, England, is under no doubt about the physical and cultural hurdles that face him. The average temperature is minus 25 degrees Celsius, although it can fall to minus 40 degrees Celsius in the winter. Inughuit, which is the name of the northern Inuits, are hunter-gatherers; they do not have a cash economy and the men can spend weeks away from home hunting for walruses, seals and other mammals. They still use dog sleds in the winter and kayaks in the summer. Hivshu, an Inughuit who now lives in Sweden, helped Leonard establish contacts with his former community in Greenland. He has written about the Inughuit way of life on his website: "Even before I went to school I began assisting my father when he was out hunting, summer or winter, no difference. That was the way I heard the stories about my ancestors and their songs told and sung by the old people as it was a tradition to tell the stories and sing the traditional drum songs of Inuit to all of us during the hunting." Leonard says he is determined to become a part of their community and plans to hunt with the men if he is allowed. He is taking solid-state audio recorders that should work in the freezing conditions and plans to produce an "ethnography of speaking." That he hopes will be a permanent record that shows how their language and culture are interconnected.